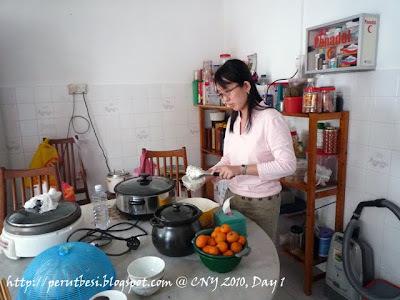 I'm sure some of you may be wondering what's taking me so long to post up the blog posts on my CNY 2010. Well, I just came back from Kuantan & Kemaman!! It was full of madness, & I assure you that I will share it here asap! 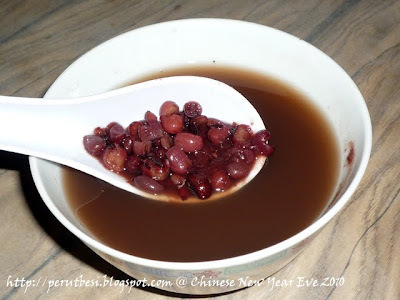 This is my aunty C.T's specialty. 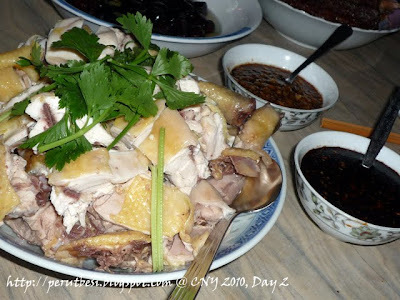 The chicken was cooked to perfection (without being over-cooked 'til the meat gets tough & rough), & is further perfected when dipped into the garlic/ginger ("sa keong") sauce. 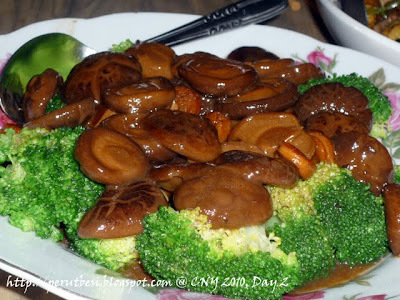 I thought the mushrooms were of the right bite-size. 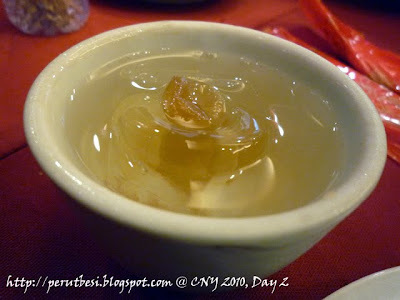 They were soaked with the fullness of the broth & soft enough for the young & old. The scallops gave the dish an extra "kick", while the broccoli balanced the dish up to make it more colorful & a healthier one too! 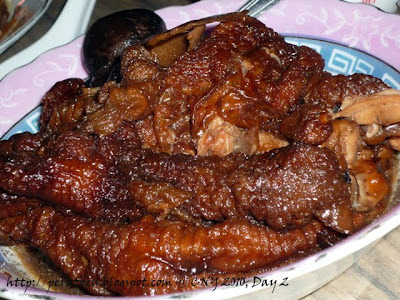 My mum cooked this & I thought the chicken feet were lovely :) This dish is best when everything is soft & flavourful. Sounds gross & totally unappetizing? Perhaps it's another dish for the adventerous, but for those who tried & love it, you'll never see the humble cucumber the same way again! 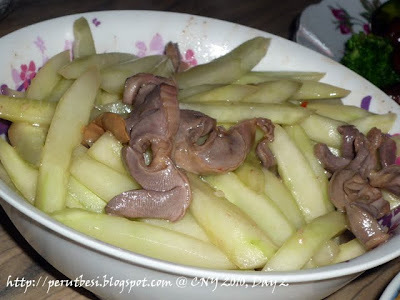 Whose family actually cooks cucumbers this way? 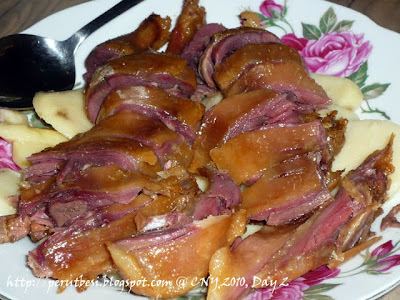 As far as I know, I haven't come across anyone who cooks this dish apart from my family! 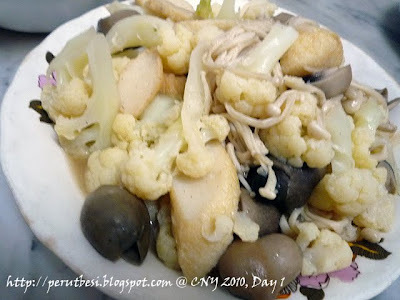 It's been passed down for generations & we have this dish EVERY year during CNY & other Chinese festivals. 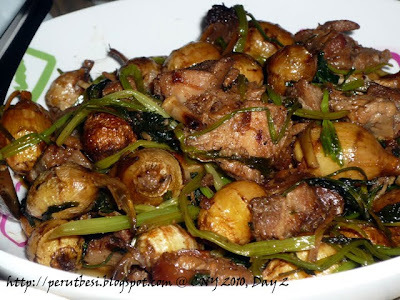 Who is a fan of duck liver sausages?? I know I am!! 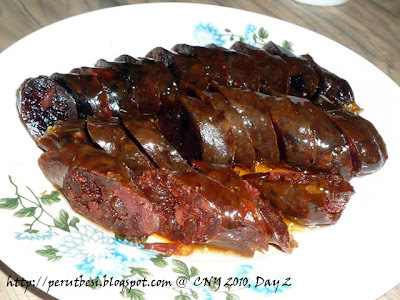 There's a tinge of alcohol taste from the sausage, so it's VERY appetizing & addictive once you fall in love with it. According to Aaron, the size of the burger was disappointing. 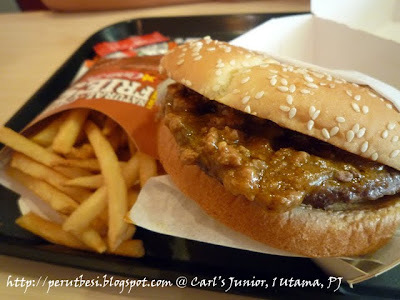 The 1st time he had this years back, the burger was much bigger & probably cheaper or around the same price. I haven't had Carl's Jr. before, so I can't comment, but I seriously think it's over-priced. 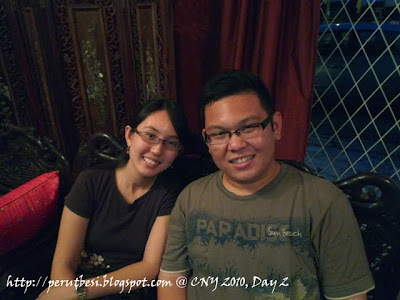 With a full stomach, we left 1Utama & headed home to wash up & get ready for dinner! *lol* Just imagine that, 'lunch' & dinner back to back. This is what happens when you have lunch around 2:30p.m. & dinner is at 6:00p.m. 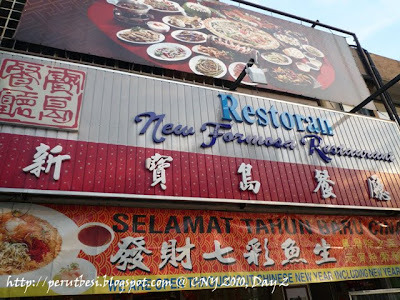 Dinner was at the New Formosa Restaurant in SS2 with my dad's family again. 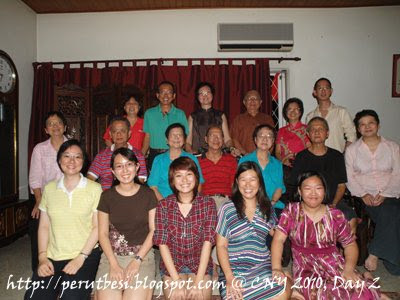 Yes, the family loves to gather & will grab any opportunity to do so. This restaurant has been at the top of my family's list since I-dunno-when. 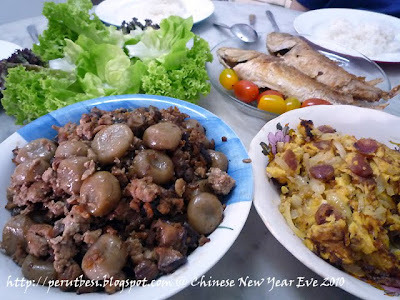 We have had dinners here almost every Chinese New Year & during any other family dinners as well. 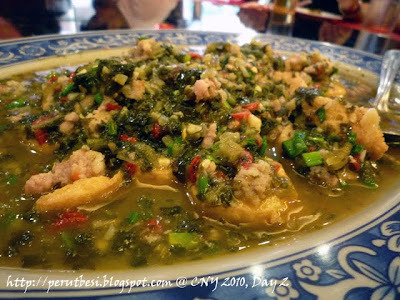 New Dish: Beancurd with Minced Pork & "Dai Thao Choy"
One of the most desirable dishes available in New Formosa. 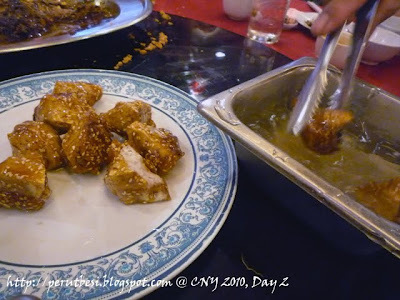 The batter that coats the chicken pieces was fragrantly accompanied by sesame seeds. 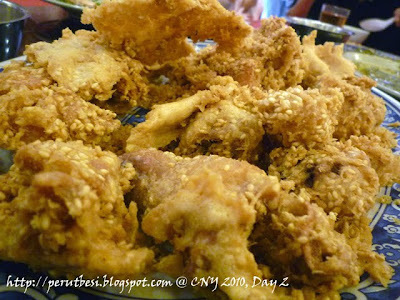 The fried chicken was 'juicy' & well-marinated that even if you took the breast meat, it ain't dry nor gets stuck in your throat. Not over-cooked! 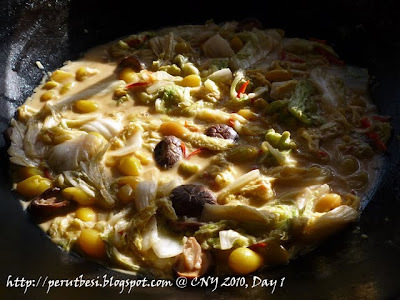 :D The veggie were still crunchy, but it didn't have that uncooked green smell/taste. 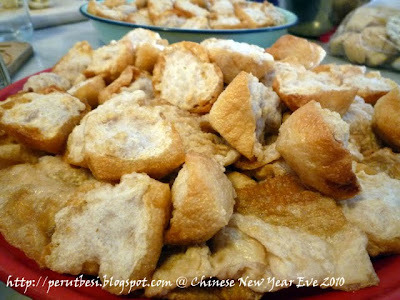 This bread is lovely eaten on its own or when dipped into any gravy/sauce. 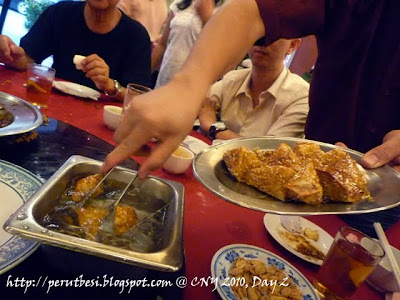 Usually, we'll dip it with the fish's gravy or the better one is with sweet & spicy crab's gravy! This dish was so-so. 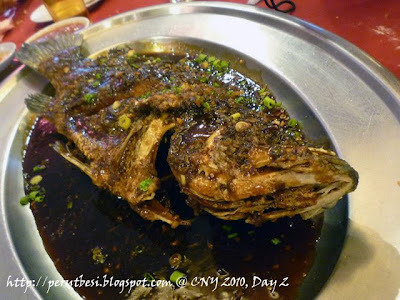 I felt that the fish was a 'lil over-fried, hence the texture of the fish didn't feel very smooth anymore. This is THE BOMB! 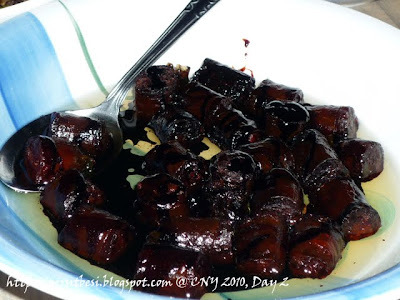 You MUST try this as I feel that this is the ONLY place that offers this dessert & it's really delicious, especially if you're a yam & caramel fan! 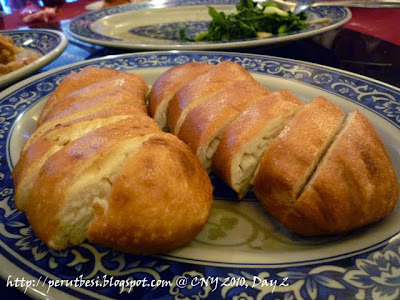 The outer layer of the yam is crispy, while the inside is warm & soft. Totally delightful! 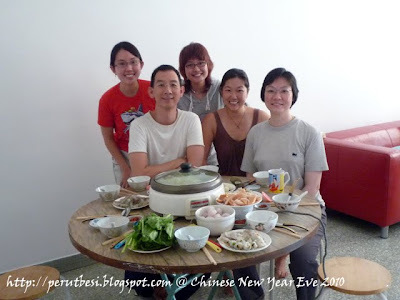 Occasion: Family gathering for day 1 of the Chinese new year! 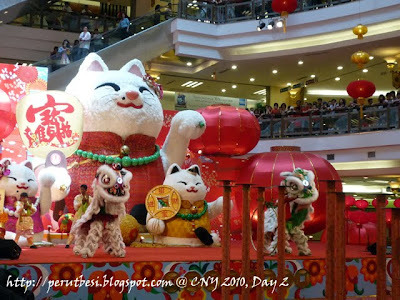 The 1st day of Chinese New Year is usually filled with excitement. 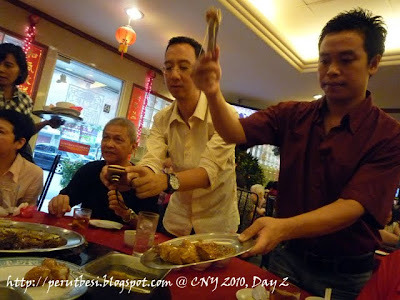 But this year around, we celebrated the festival with a softer tone as my uncle just passed away last month. 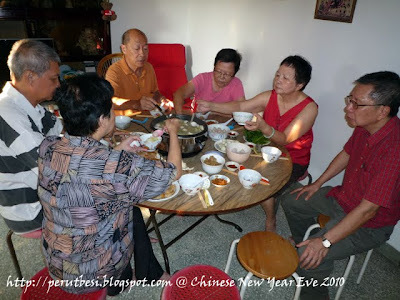 According to the Chinese (Buddhist/Taoist/other Chinese religions) tradition, the family shall not celebrate any festivals within the 100 days of the demise. However, I reckon in my uncle's case, there is an exception. My uncle loves & encourages family get-togethers. 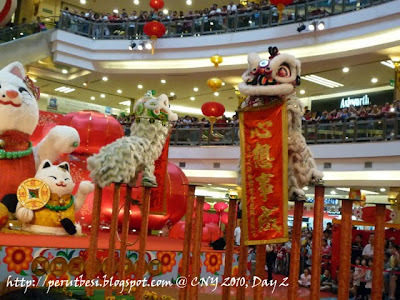 Thus, Chinese New Year shall not be any different, & the family were to continue gathering & live their lives with joy. (where is my mother looking at...? 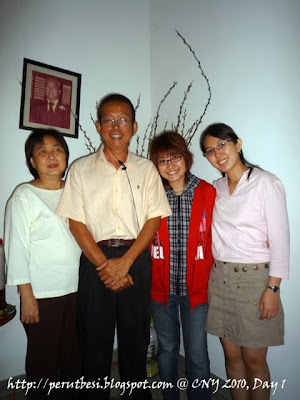 =.=") Grandpa was in the photo too! 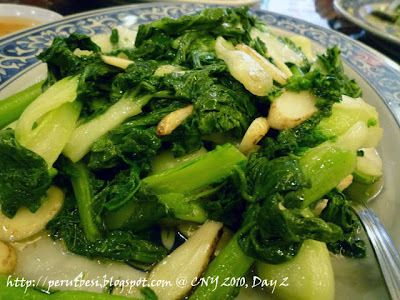 For the Wongs, the 1st day of CNY begins with family breakfast of THE vegetarian dish (not just ANY vegetarian dish). 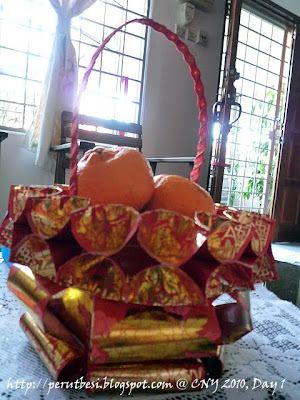 I'm not sure how other families begin their 1st day of CNY, but my family has held on to this "tradition" since I-don't-know-when; perhaps even before I was born! Looks colorful, huh? 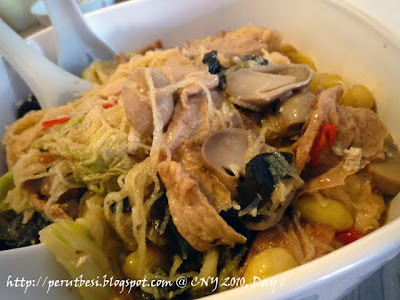 :D Dig in for a mouthful of treasure - ginkgo, Chinese black mushrooms, button mushrooms, straw mushrooms, plain beancurd sheets, sweet beancurd sheets, black fungus, dried beancurd (taufu pok), beancurd "balls" (min kan), deep fried glass noodles, red chili, Chinese cabbage, & the ingredient that gives the dish a kick, fermented beancurd (fu yue)! 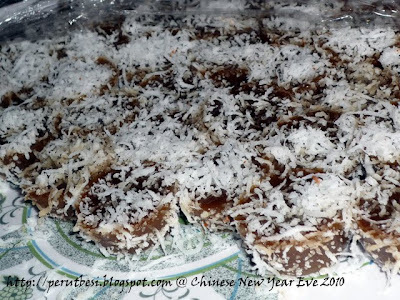 Every year the cousins will usually be the rice-scooper, & this year, I was the "Head Rice-Scooper", while my cousins & aunts took the bowls of rice out to the tables. 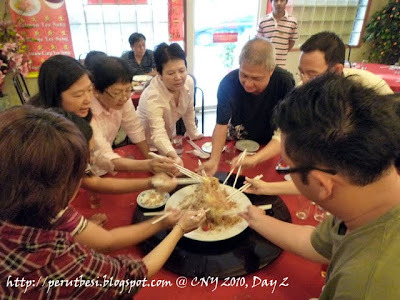 According to family traditions, one is encouraged to go for seconds/"tim fann" to have abundance in everything we do throughout the year (that's why the 1st round of rice will be just 1 small scoop). My aunt's friend crafted this :) Interesting, huh? Takes up loads of patience & hard-work too! Breakfast is Served! "Sek Fann!!" 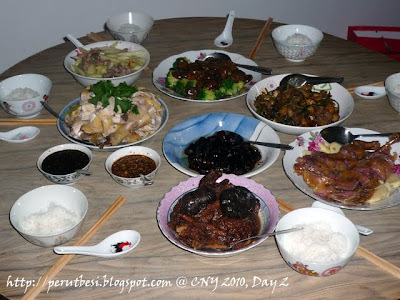 This was our family's breakfast table :D I enjoy CNY Day 1's breakfast every year! 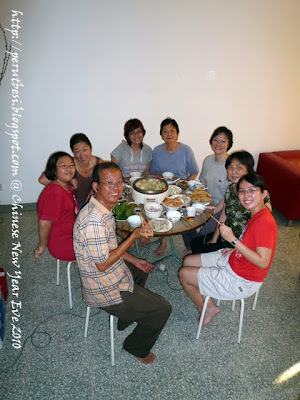 In the past years, my family will set foot to visit our grand-aunt after breakfast. This year, the family didn't go for our usual visitation. 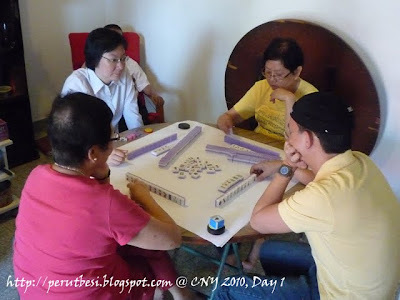 No home-made prawn keropok nor cookies :( Instead, we stayed in the house for games of mahjong, cards, & to watch television for those who don't play such games. There was nothing much done on Day 1 for my family. 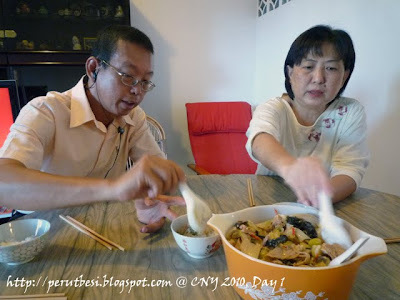 We came home to rest, after which, my mum prepared a simple dinner for us. How do you like it? I fried these! 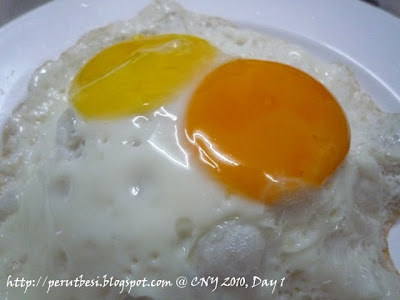 Yeap, one's an Omega-egg, the other is the usual chicken egg. 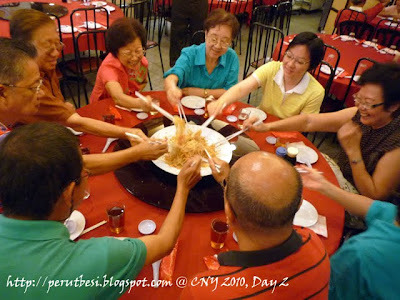 Day 1 of CNY ended with the family for PerutBesi. 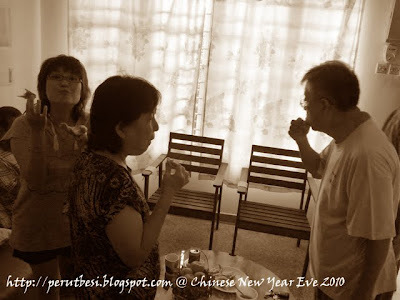 Unlike "kampungs" & small towns, the city doesn't offer much of a festive-mood; there were only faint sounds of fire-crackers & not a sight of fireworks at my housing area! 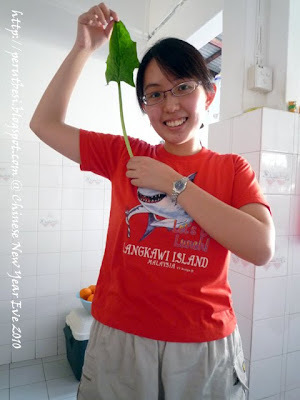 *sobs* Sometimes I wish that I was somewhere else during CNY. 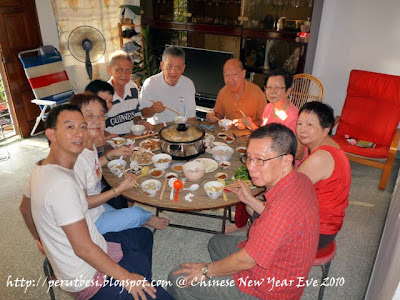 What better way than to spend the eve of the new year with the family. It's not everyday that I get to sit down for a meal with my family, unlike many of my friends. Have we taken our family for-granted? 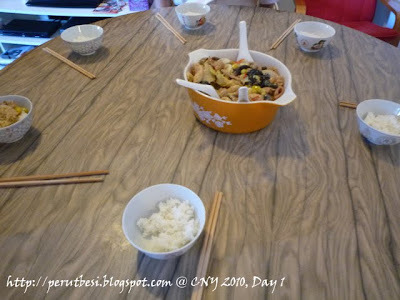 Lunch was at home, while dinner was at my aunty Anne's place. 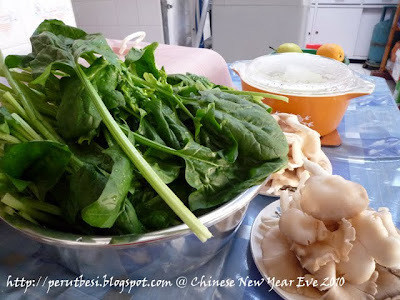 This year, we decided to have a steamboat dinner instead of the usual pot-luck. 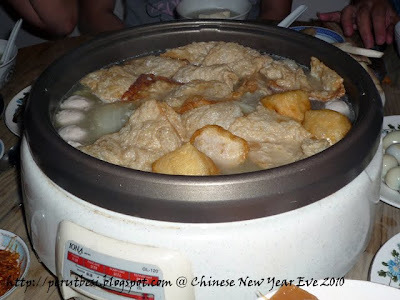 On such a warm day, having steamboat is truly a "free sauna" experience! 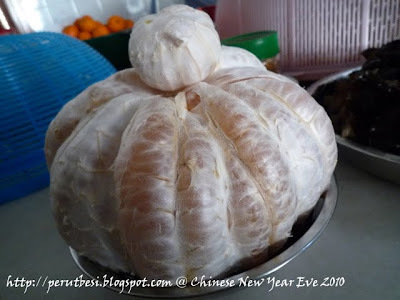 Mama pomelo with her little baby! SOOOO cute, right? Oh, it's indeed a time for family! 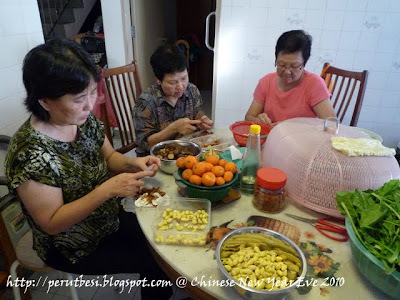 Mum, aunty Irene, & aunty Mary were busy peeling ginko/pak kor for the next morning's vegetarian dish. 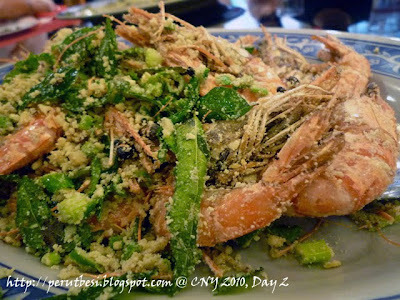 The dish is one of the many dishes at the top of my list. 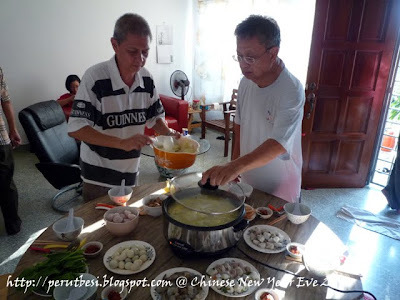 Uncle Bob & uncle Chee Peng pouring the soup into the steamboat pot. Aunty C.T. 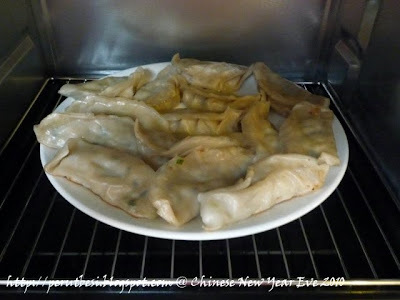 brought over some dumplings as starters. 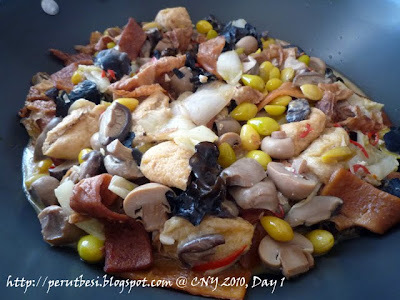 It actually tastes not too bad - tastes better when reheated in the oven than in the microwave oven. 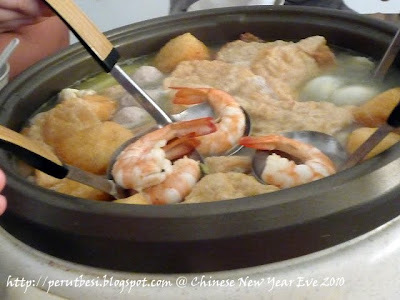 This is how you should cook your prawns when having steamboat - avoid over-cooking the prawns & lessen the hassle of fishing for your prawn among the mass of other food items in the pot. 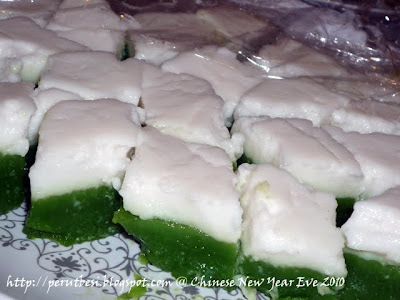 A perfect marriage of slightly salty white coconut-milk top with sweet & pandan-fragrant kuih. 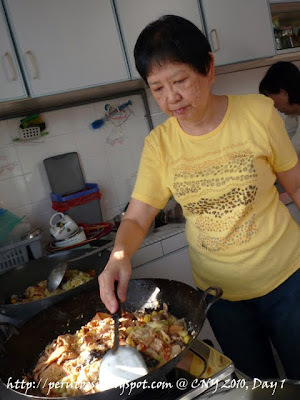 What's better than home-cooked food??! Nothing beats it, man. 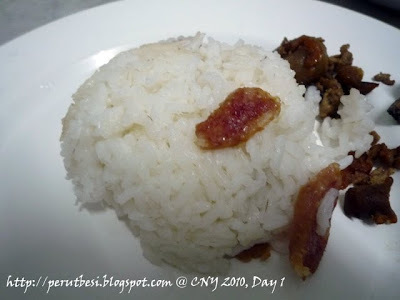 I am the kinda girl who rather have plain home-cooked white rice with a happy & warm family than having a grand meal with strangers. How about you? 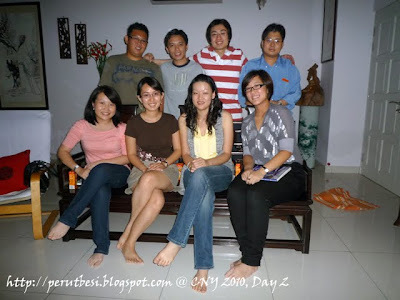 How was your CNY eve 2010?